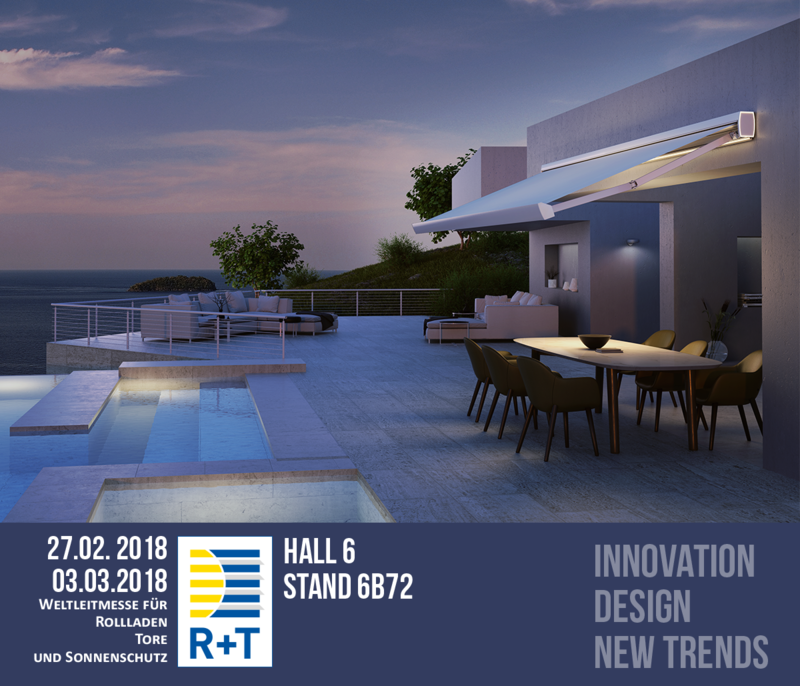 BAT Group, who has been a world market leader in the industry of accessories for the awning system for over 30 years, will have a main role in the R+T meeting with some completely new features; each of them is characterised by stylistic and material research and by product innovation. 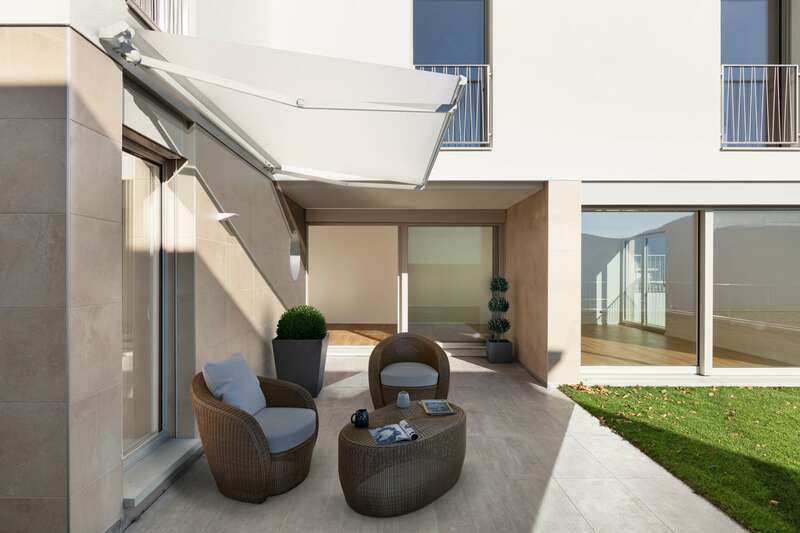 The Made in Italy is always an essential quality feature of the BAT components; in Stuttgart, BAT presents EPICA, a box awning with extensible arms, impressive for its minimalistic and essential lines, designed by Arch. Robby Cantarutti. Being easy to install and equipped with an inspectionable box, EPICA can be integrated with a wide range of optional products, such as a light kit or a box terminal bar, in order to obtain a more effective protection against oblique evening light rays. Its fixing elements and screws are completely hidden and the occupied space is extremely reduced. A led can be integrated in the cassette cap, creating a perimetric light effect which contributes in enhancing its aesthetics. 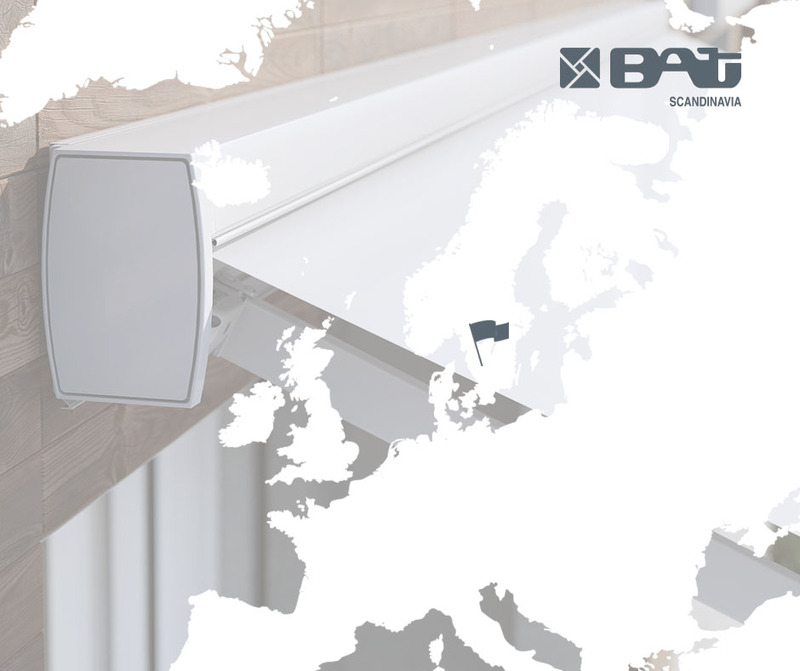 EPICA can have a projection up to 4,10 mt with a “Giant” arm, now available in the innovative version “Balteus Giant”. SPACE is another preview of R+T 2018, once more designed by Arch. Cantarutti; it is an awning which can be included in pre-existing structures, perfect for verandas and attics, also in the self-standing version. SPACE can be noticed thanks to its terminal cap; together with its cassette cap, it recalls the shape of a turntable and tonearm. Being also easy to install and equipped with an inspectionable box, it is characterised by adjustable width guides, in order to fit easily in every situation. The fabric tensioning can take place with no imperfections, thanks to a gas spring. There are different optional products: among them, a mechanic blocking system, which allows a perfect fabric tensioning, and strip leds both on the guides and on the box. Its roller tube’s floating system avoids the formation of wrinkles. 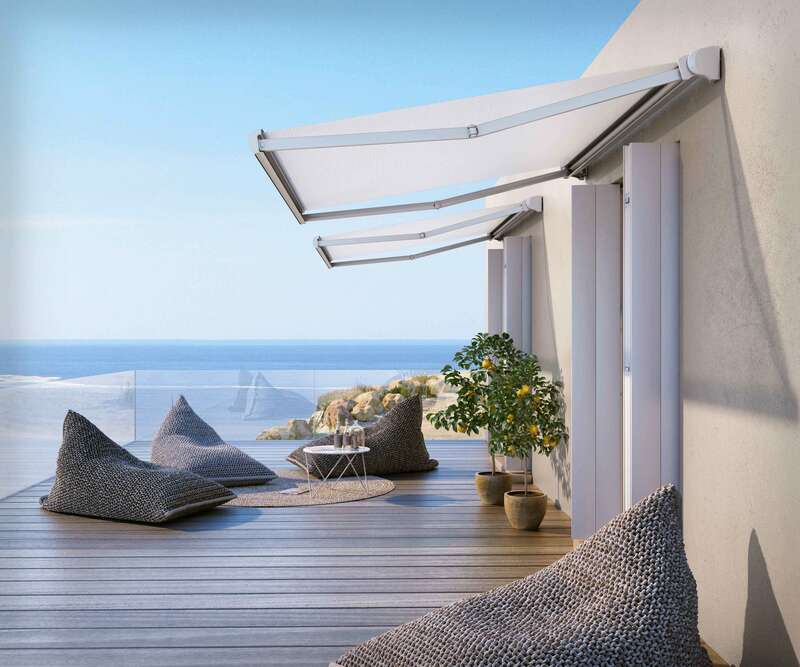 SCREENY BOX joins the Screeny wide range: it is a revolutionary roller awning, in response to designers and architects’ current needs. 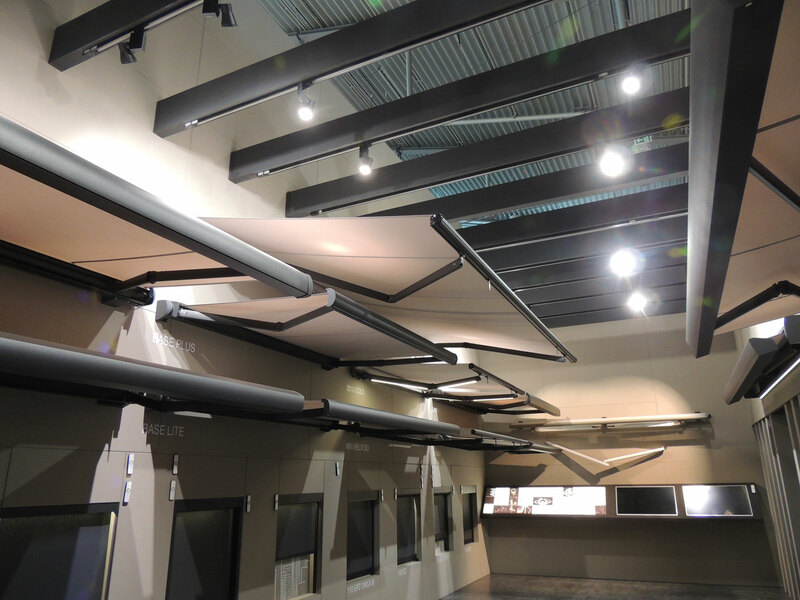 SCREENY BOX is a roller awning without box, equipped with ZIP guide system. The system is recommended especially for installations with a thermal-insulating monoblock, in which the union between design, efficiency and energy saving is extremely important. The ZIP system, together with the usage of technical fabrics regulating the amount of solar energy input, provides a concrete protection against weathering. Equipped with an easy-to-install, patented fixing system, SCREENY BOX is the perfect solution for a solar screening system with reduced occupied space and minimum aesthetic impact. At BAT’s stand, various models of the “Screeny” line are going to be present, together with some top models of BAT box awnings, among which “Base Plus” and “Base Lite” – their look has been recently renewed – and Domea. Another feature that must not be missed is the preview of the many innovations related to the product technology: they are going to be presented during the R+T meeting.